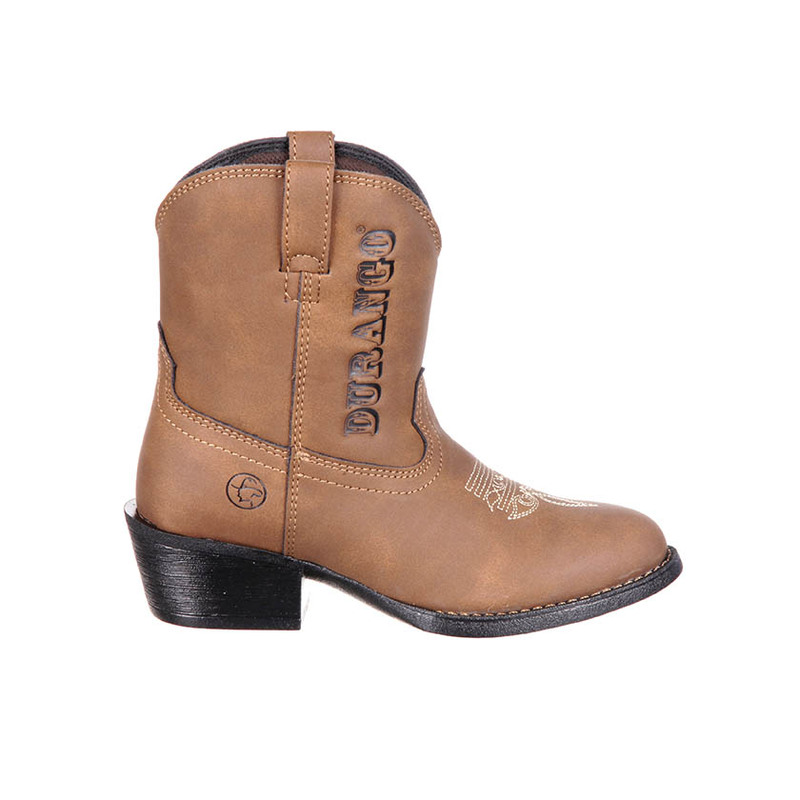 Just like Waylon, Willie, Kris and Johnny, these Lil' Outlaw by Durango Little Kids' Western Boot are sure to make your little cowboy or cowgirl a true western outlaw. 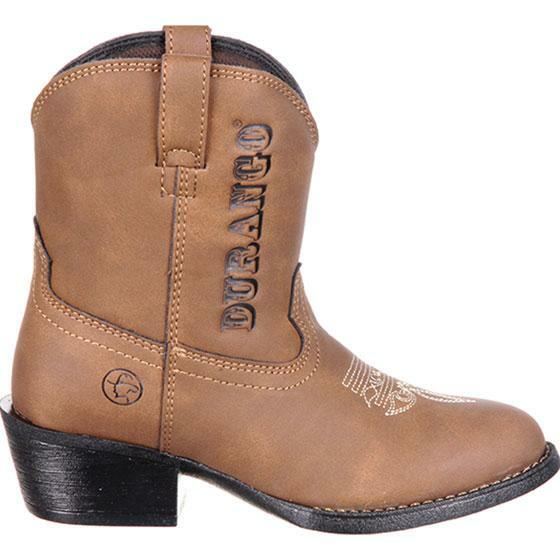 They feature a synthetic brown leather all over the boot, and an embossed Durango logo on the side of the shaft. 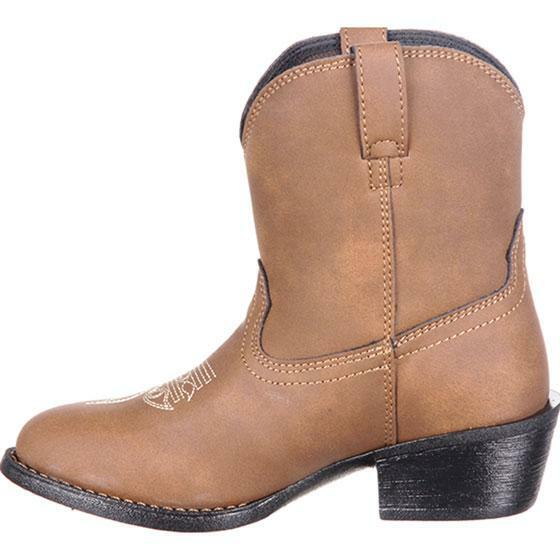 Your child will pull these roper toe boots on with ease thanks to the sturdy pull tabs and a dipped topline. 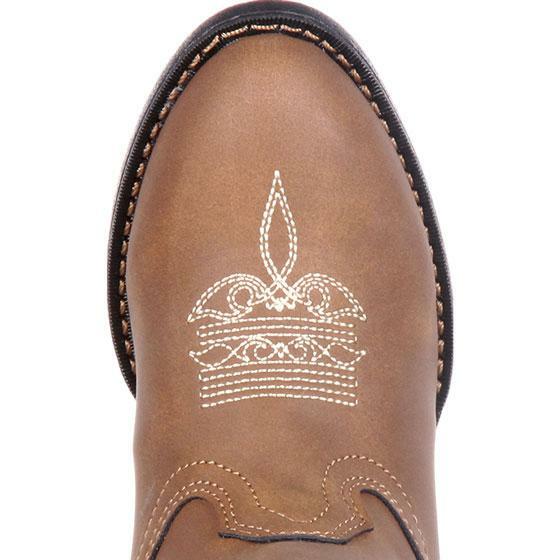 Their steps will be softened by the cushion flex insole. 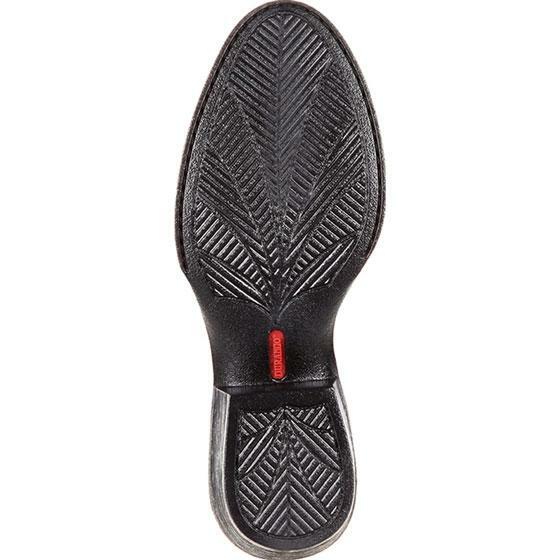 On the bottom, the PVC outsole is lightweight and provides flexibility. 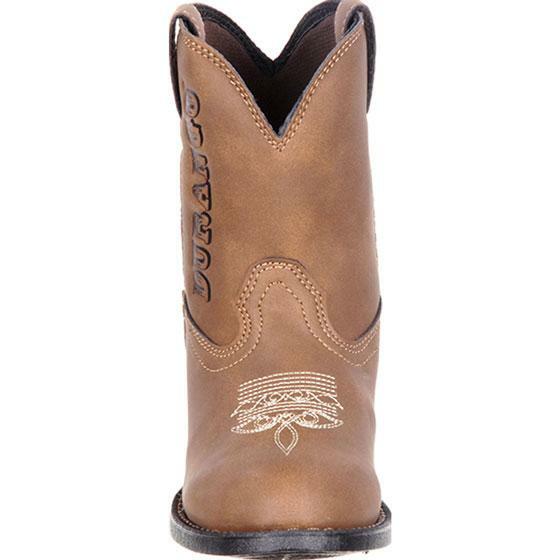 The 1 ½" heel will allow your child to have a nice stride and remain comfortable while wearing. 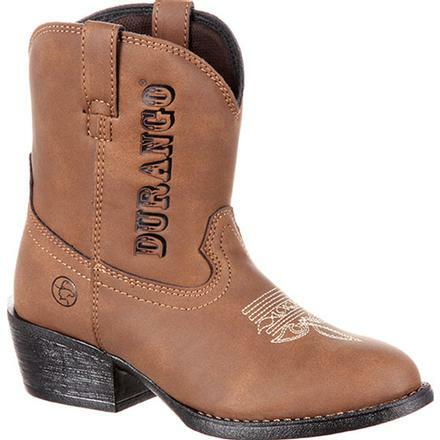 Durango gave these boots a single row welt stitch making them flexible and durable. 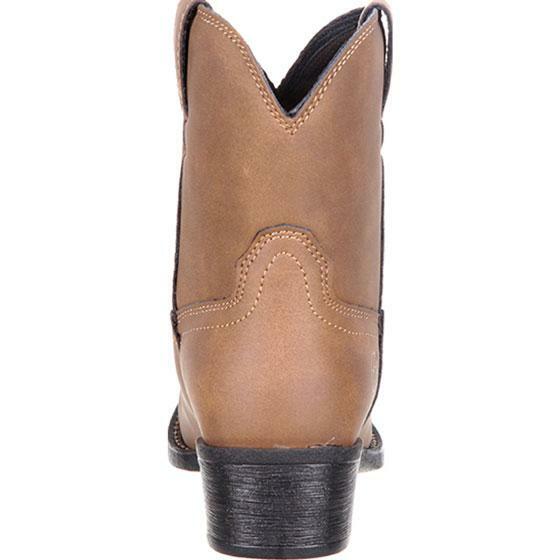 These 6-inch brown western boots are perfect for your little cowboy. Order today!